Screw & Washer System – In areas of bad cracking and sagging, a ceiling may require additional support with the aid of propping and mechanical fixing back to the Joists. Our remedy would be to first establish and mark-out the position of the joists above on to the face plaster. Then to pilot drill and countersink screws and 30mm diameter washers through the face plaster and into the joists, thus lifting-up the plaster and re-securing. The countersunk washer holes are then fine filled to blend with the existing finish using fine casting plaster. 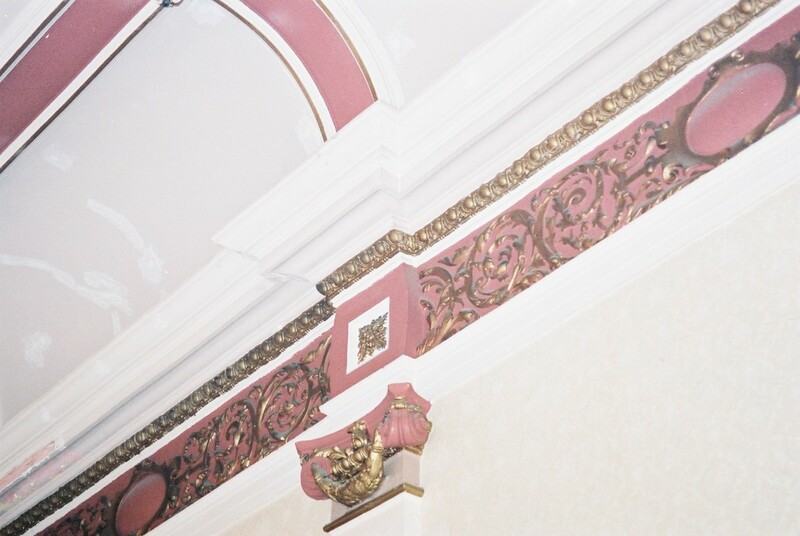 Plaster mouldings can also be re-secured in the same way, sometimes using the same or smaller diameter washers to achieve the same result. All cracks should be carefully cut-out and filled using fine casting plaster, with the addition of jute scrim soaked in the same material, if the crack is very wide. We would recommend that this system be adopted on the entire area of loose Ceilings or Barrel Vaults. Alternatively the system can be used on an ad hock basis for the main affected areas, to suit budget constraints. 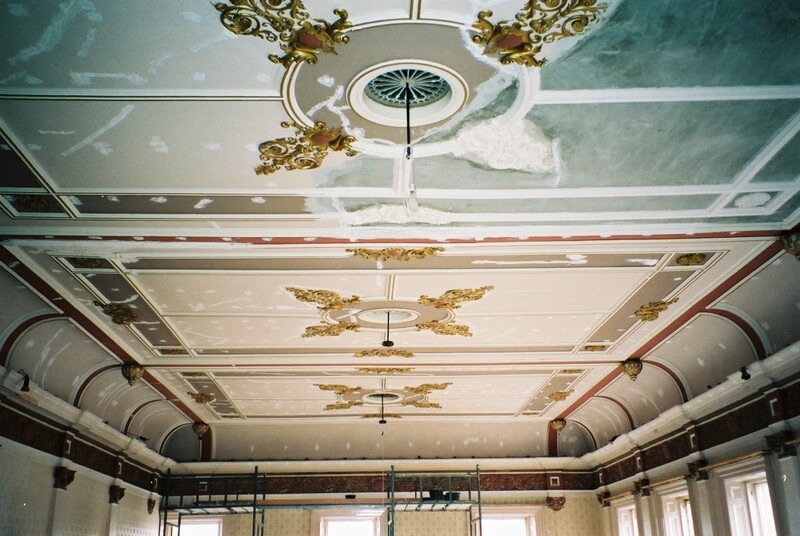 Plaster Restorations Resin Treatment System – Ceilings can show areas of cracking and sagging away from the laths, which may also include moulded plasterwork. This can be a cause of the plaster keys breaking away from above the lath structure. 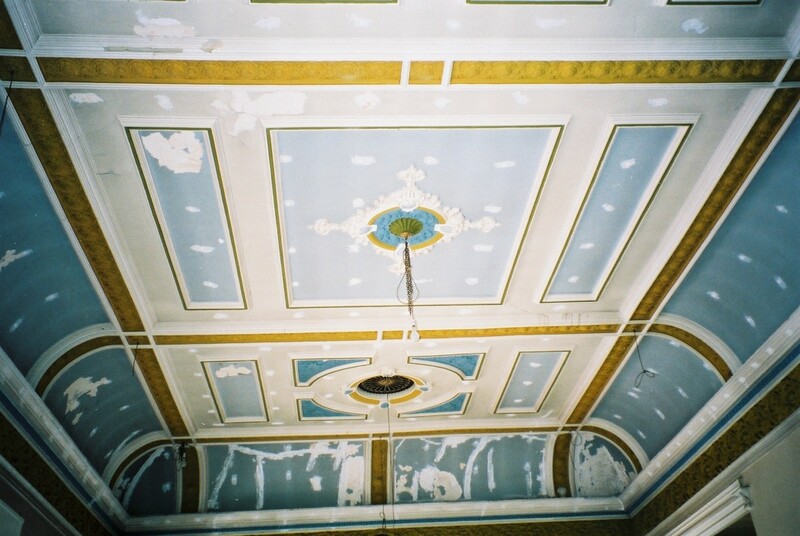 However these keys can still look intact from above but the ceiling can still show sagging. In this case the plaster has sagged away from the keys underneath the lath structure. Our remedy would be to clean and fully vacuum-out the area from above the lath structure, to include the ceiling Joists. This will reduce weight upon the ceiling and provide a clean surface to aid adhesion. We then mix and apply a water clear, low viscosity, epoxy resin with hardener. 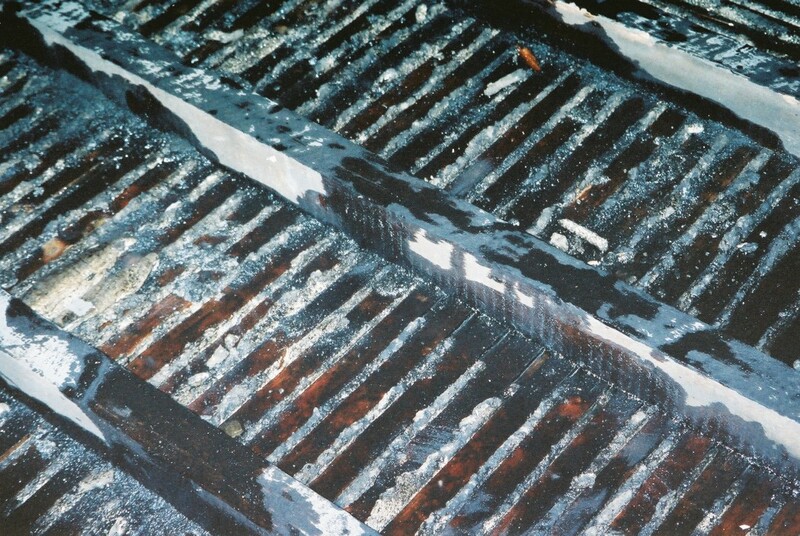 This material is flooded over the top of the lath structure. The low viscosity means the resin can penetrate the plaster keys and the wooden laths. 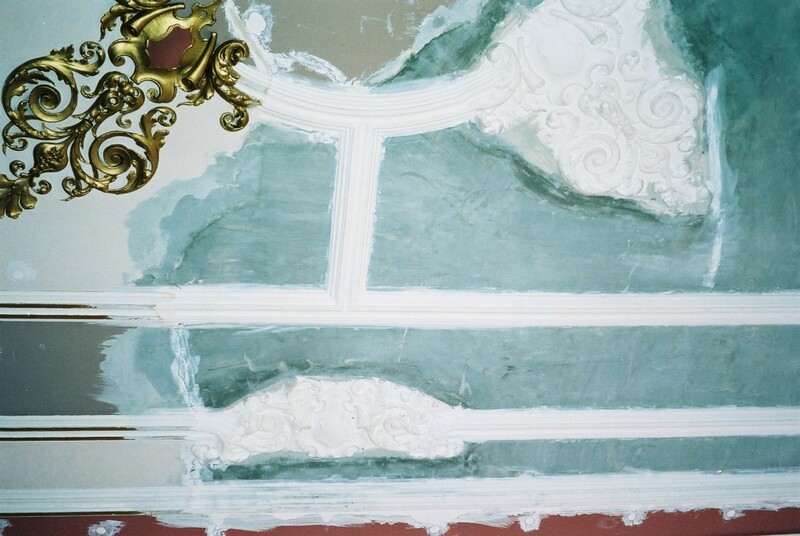 It also fills the voids underneath the lath structure and seeps into the plasterwork below, biting into the back of the plaster and filling-up any cracks (for this reason any cutting-out and filling of cracks or screw & washering needs to be carried-out prior to the Plaster Restorations Resin Treatment System). The result is a monolithic structure with the face plasterwork, laths and keys, bonding together as one. We then use fibreglass chopped strand matt (CSM), consisting of two layers of 300g CSM, cut 75mm wide, soaked in the same epoxy resin. These are laminated in bands onto the back of the treated lath structure and over the top of the ceiling joists and then back onto the lath structure on the other side of the joists. This forms a U-shaped clip-wad or hanger, which we place every 450mm along the joists and stagger the position between each Joist. The end result is again a monolithic structure which is now strapped over the existing ceiling joists. At the same time, being water clear means that we can maintain the visibility of original working methods, preserving the integrity of the building. The Plaster Restorations Resin Treatment System will also help to repel future insect infestations in the Laths. 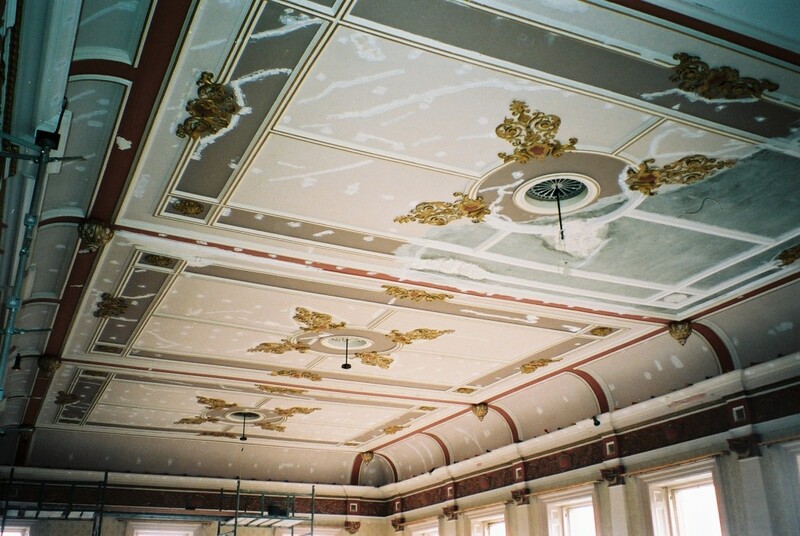 We would recommend that the Plaster Restorations Resin Treatment System be adopted on the entire areas of Ceilings and Barrel Vaults. 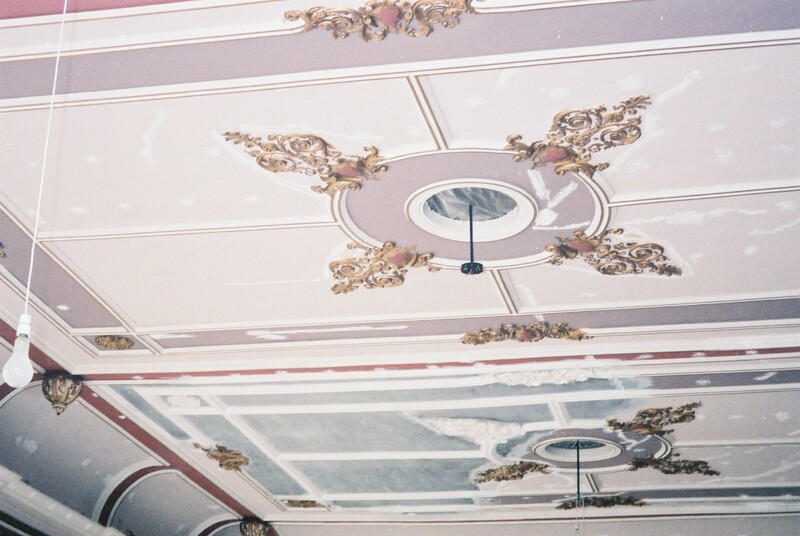 Areas of Water Damage, Rot or prior Collapse – Areas which have to be replaced due to condition or have already collapsed can be sympathetically reproduced either by hand crafted manufacture in fibrous plaster or working purely in-situ. 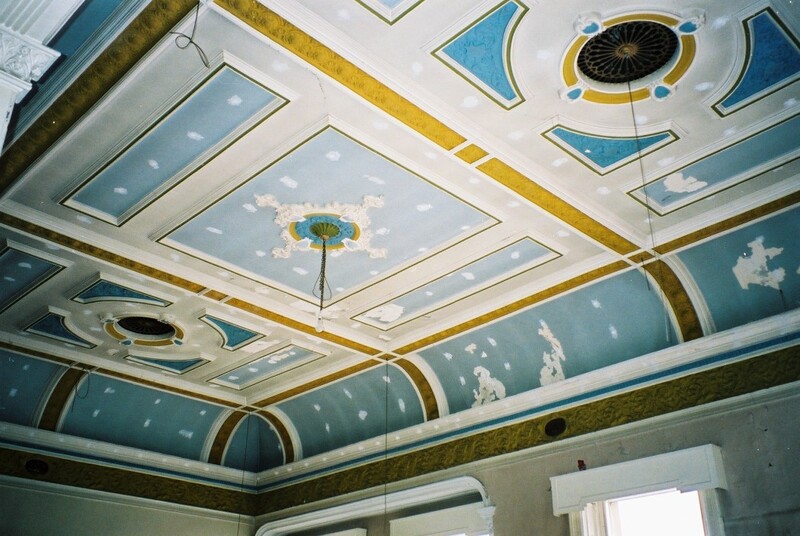 We undertake historic plastering using traditional sand / lime / horsehair & wooden lath materials.